IRVINE, Calif. — Online Trading Academy (OTA), a leader in trading and investing education, is proud to announce that Mary Beth Motisi, owner of Online Trading Academy’s Houston, Texas, location has been named a “Franchise Rockstar” for 2019 by the Franchise Business Review. Motisi is among just fifty franchise owners chosen out of thousands of nominees. 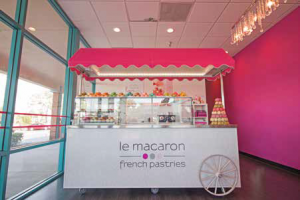 Franchise Business Review selects its top fifty franchise owners by analyzing research from over 27,000 franchisee surveys across more than 300 leading franchise brands. Each entrant is given a score based on business excellence, community engagement, and franchise leadership skills. The top fifty scorers are designated “Franchise Rockstars,” their designation of the best of the best in franchising today. For Motisi, the choice to open her franchise was not a difficult one. After working her way up the corporate ladder at McDonald’s through hard work and determination, she became interested in the stock market and began classes with Online Trading Academy. After benefitting as a student, Motisi moved from Wisconsin to Texas to open her own franchise almost a decade ago. Online Trading Academy (OTA) is the world leader in financial education for investors looking to build life-changing skills designed to help make the right moves in the financial and real estate markets. Online Trading Academy’s patented Core Strategy is designed to empower traders and investors to make smarter investing decisions. Students learn under the guidance of experienced traders in an interactive classroom setting with extensive online education resources. The courses are geared toward individual investors or traders, novice or experienced, who want to learn how to use similar tools and trading techniques as the professional traders on Wall Street. OTA has its roots in the largest trading floor in the Western US, founded in 1997. From a single location in Irvine, CA, Online Trading Academy has expanded to more than 48 worldwide campuses. WACO, Texas — From backed up drains to low water pressure, the list of potential plumbing problems homeowner’s deal with can be daunting. In an effort to educate consumers and provide them with tips on how to tackle these issues, Mr. Rooter Plumbing, a Neighborly company, commissioned a national survey asking homeowners about the most common plumbing issues they face. Backed up drain: Use a regular wire coat hanger and straighten it out as much as possible. Bend one end to create a hook, push it through the drain and start fishing. Hair and all the buildup, aka gunk, should pull out. Once it’s all pulled out, run the hot water and it should clear up. Garbage disposal: Never use chemical cleaners to clear a backed-up garbage disposal. To check for clogs, remove the unit and visually inspect the pipe for obstructions. “Every year, millions of homeowners require the expertise and hard work of an experienced plumber. And with National Hug a Plumber Day coming up on April 25, now is the perfect time to not only highlight the importance of proper plumbing maintenance, but to also say ‘thank you’ to the dedicated technicians and plumbers who always show up when disastrous situations go down,” continued James. To further celebrate the holiday, Mr. Rooter is recognizing America’s unsung heroes who go above and beyond the call of duty to keep our pipes – and lives – flowing smoothly. Beginning today, fans are encouraged to visit Mr. Rooter’s Facebook page and share a first-hand story of how a plumber saved their day for a chance to win a smart home leak detector along with other Mr. Rooter swag. 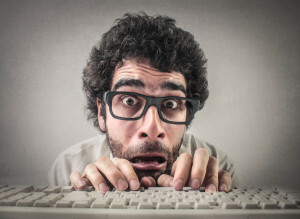 To learn more about Mr. Rooter including additional expert tips on how to tackle common plumbing issues, visit www.MrRooter.com. Mr. Rooter®, a Neighborly company, is a full-service plumbing and drain cleaning franchise with approximately 300 franchises worldwide. Established in 1970, Mr. Rooter franchisees provide services to both residential and commercial customers. Acquired by Neighborly® in 1990, Mr. Rooter is part of a community of home service experts, leveraging Neighborly’s nearly 3,500 professional home service experts across 14 brands in the U.S. and Canada with a unique direct service function that provides consumers assistance with nearly all aspects of their home care needs. Neighborly brands include: Aire Serv®, Five Star Painting®, Glass Doctor®, Portland Glass®, Molly Maid®, Mr. Appliance®, Mr. Electric®, Mr. Handyman®, Mr. Rooter®, Protect Painters®, Rainbow International®, Window Genie®, Mosquito Joe® and The Grounds Guys®. 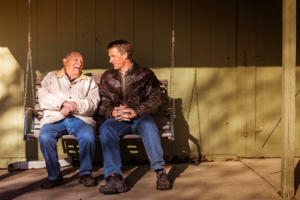 Additional information about Neighborly can be found at www.GetNeighborly.com. 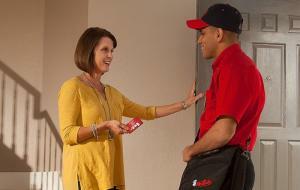 For more information about Mr. Rooter, visit www.MrRooter.com and to learn about franchising opportunities with all Neighborly companies, visit www.leadingtheserviceindustry.com. From there Cartwright moved into the lead sales role where he helped grow the location’s revenue. 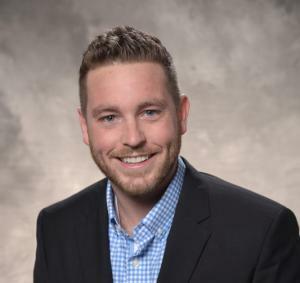 After working in the FASTSIGNS center for four years, Cartwright took a job with the franchisor (FASTSIGNS International, Inc.) and relocated to Carrollton, Texas to become a Training Manager. 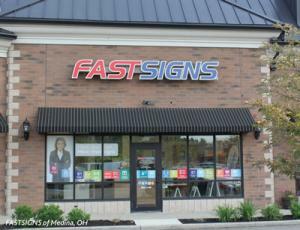 Ross’ hands on sign experience and knowledge prepared him to train new franchisees who would soon be operating their own FASTSIGNS locations. Four years later, Ross is now a Business Consultant in the Operations Department where he continues to help and support Franchisees across many areas of their business. ISA International Sign Expo is the on-premise sign and graphics industry’s largest expo. Held each spring, the event features the latest products that showcase the breadth of the industry along with education and networking events. 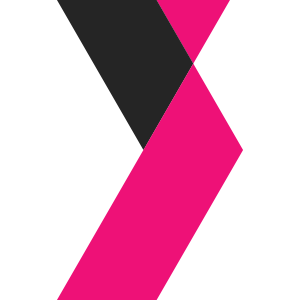 The event has been named to the Trade Show News Network’s List of Top 250 Trade Shows and ranked in the Top 100 Largest Events by Trade Show Executive three consecutive years. Learn more at www.signexpo.org. LOGAN, Utah — A new service has been released by N-Hance® Wood Refinishing that will transform the hardwood floor refinishing industry. The new and innovative floor sanding service will allow for most homeowners with engineered wood floors, prefinished or traditional wood floors to refresh their floors with minimal dust and inconvenience making it a great alternative to traditional floor sanding. N-Hance uses a state-of-the-art sander that offers an extremely even finish and doesn’t leave drum marks or chatter marks/waves like traditional drum sanders can. It’s ability to counter rotate make is so it can be used effortlessly against the grain without causing the typical cross grain sanding marks. It has a unique diamond abrasive technology that can be used to remove harder finishes such as aluminum oxide without consuming paper based abrasive products. The N-Hance sander can be used on floors with as little as 1/8 inch of wood, which means it can be used on engineered hardwood floors and many others that professional sanders often walk away from. The process is virtually dust-free for homeowners, keeping their homes cleaner and healthier. Extended life for most engineered, prefinished and traditional wood flooring. 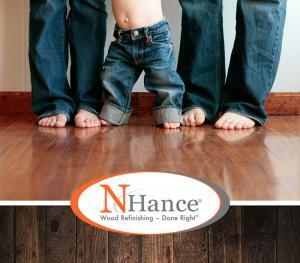 Founded in 2001, N-Hance Wood Refinishing is based in Logan, Utah and is a trusted partner of the Home Depot. N-Hance Wood Refinishing has more than 500 franchises across the United States, Canada, Australia, New Zealand and South Africa and is backed by Harris Research, Inc., the same company that grew Chem-Dry into the world’s largest carpet cleaning company. 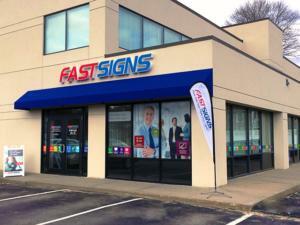 CARROLLTON, Texas — FASTSIGNS International, Inc., franchisor of FASTSIGNS®, the leading sign, graphics and visual communications franchise, announced today it has been recognized by the Canadian Franchise Association (CFA) as a silver recipient of the 2019 Franchisees’ Choice Designation. FASTSIGNS has been recognized by the CFA for the seventh consecutive year for its strong relationship with Canadian franchisees, as well as extensive franchisee support and training.